With his new found powers in tow Damien sets out to get his revenge on the four people who laughed him out of the guild’s recruitment event. 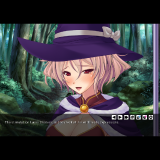 Alicia is the Priestess, a gentle healer who might be too innocent for her own good. Tina, a deadly sniper who earned herself the nickname of “Demon Bullet Princess”, who is a spunky gal who wears her heart on her sleeve. Sara, a powerful witch, her cold attitude earned her the nickname “Ice Queen”. 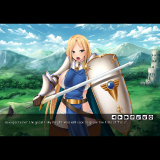 Sonia the Paladin rounds out the group, her impenetrable defense is her greatest pride as she claims to have put aside her womanhood to pursue becoming a great hero. Hey Admin, would saves from the other upload be compatible with this? VN, just like 99% of this site, and 100% of the things from that dev. There were some minor text issues with the fan tl version (text sometimes overflowed from the text box) and and maybe they fixed a few typos I think. Now that he says, I myself have this game but I remain skeptical about it, what is more, advantageous or improved by that of the previous version ? Isnt this game up already with a slightly different name? Kind of. Previous one (from 2016) was fantranslation – this is official release, with higher resolution CG and option to use Spanish (in addition to English) translation.